Russia will play a substantial role in Iraq's economic recovery, says Iraqi Prime Minister Nouri Al-Maliki during his first visit to Moscow. 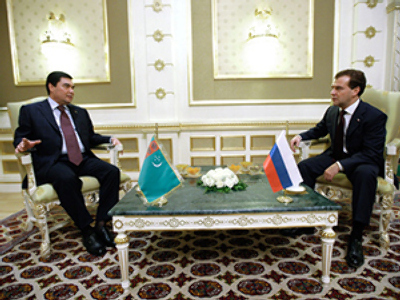 Russian companies are hoping to gain a greater role in oil extraction, as well as providing military equipment. Nouri Al-Maliki indicated that he might be willing to discuss the possibility of renewing some of the old contracts that Russian companies signed with the regime of deposed Iraqi ruler Saddam Hussein. “We are very interested in the representation of Russian companies in our country in a variety of fields,” stressed Al-Maliki. This participation is something the Russian government has been lobbying to receive for quite some time. A couple of years ago, Russia even wrote off a substantial part of the Iraqi debt hoping it would bring it some concessions and preferences. Back in the 1970s, much of the Iraqi infrastructure was designed by Soviet engineers. Oil wells, gas pipelines, power stations – their construction brought Soviet companies millions of dollars. And as security in Iraq improves, some in Russia hope a similar opportunity may arise again. “Our companies have considerable experience in dealing with Iraqi partners. This is a good capital for the future. We welcome you in Russia and hope your visit will help develop our bilateral ties,” Russia’s Prime Minister Vladimir Putin said, expressing his hopes. As the result of the US-led invasion, Russian companies lost several billion dollars worth of contracts, so Moscow also proved to be among the victims of the Second Gulf War, which the Kremlin still hopes to revive. In 1991 Russia suspended all arms deals with Iraq after the UN introduced sanctions against Iraq, but recently Iraqi authorities have indicated they are willing to restore negotiations on that front. “Iraq wants to sign an arms deals with Russia, that is one of the main priorities in the development of our relations,” said Ali Dabagh, spokesman of the Iraqi government. At the same time while Iraqi Prime Minister Nouri al-Maliki hailed his visit to Russia as historic, he stopped short of making any specific promises. “We are confident in Russian companies which have long been cooperating with the Iraqi side. They are already present in Iraq and we hope their presence will expand further,” Nouri al-Maliki said. It is clear that the Iraqi Prime Minister seeks, in Moscow, the money and investment to rebuild the country at home and, even more so, the diplomatic support to reinstate its position abroad. In December 1985, Saddam Hussein visited Moscow for the last time. During his trip, he received reassurances that the Soviet Union will continue supplying arms to Iraq. Nearly a quarter of a century later, Nouri al-Maliki has came to Moscow for a similar purpose. The new Iraqi leadership would like to replenish its stock of rifles and helicopters. 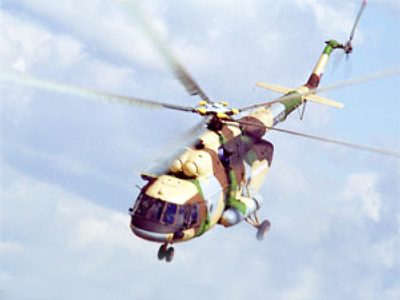 For instance, in the beginning of the week a Russian helicopter company signed a major deal to supply 22 military Mi-17 helicopters to Iraq that can be used both for transportation and military operations. The money for this project is being provided by the Pentagon. This may look like a direct challenge to the US military dominance in Iraq, but experts suggest that for al-Maliki, it’s the only way forward. 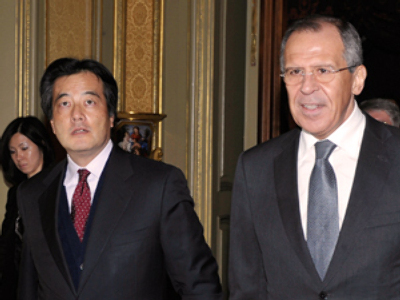 A visit to Russia, therefore, may portray al-Maliki as an independent player. “During the period of his governance, al-Maliki has made some very practical, sometimes brave and strong steps to implement Iraqi will in policy and the economy,” according to analyst Andrey Okhotnikov.